A model of Brahmos M was displayed at Defexpo 14. As the next generation of the current Brahmos, the missile will have reduced dimmensions, lower weight and higher speed, compared to the current BrahMos. It will be three meter shorter, with a diameter 190mm smaller, compared to the Brahmos. Optimized for airborne and tube-launched submarine applications, Brahmos M will have a range of 300 km (290 for Brahmos) and its speed will be increased to 3.5 Mach (2.8 max in Brahmos). The missile will have stealth features to reduce radar signature and will also have improved electronic counter-countermeasures. 12.7mm ‘Kord’ 6P59 heavy machine gun from the Russian weapon manufacturer Degtyerev. 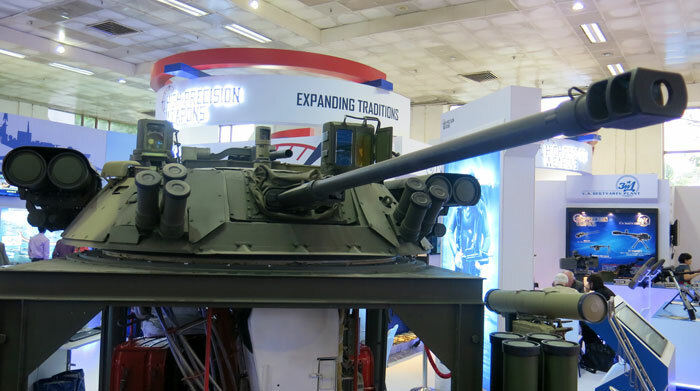 A full scale model of the Berezhok turret developed by KBP Tula for the BMP II upgrade is displayed at Defexpo. 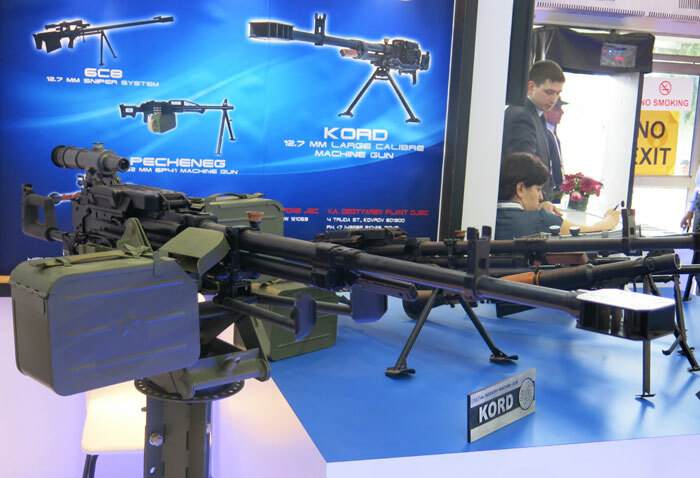 Although the system is based on the existing turret, KBP claims it surpasses the existing capability nearly four times, adding full day/night capability, integration of Kornet guided missiles and improved fire controls. 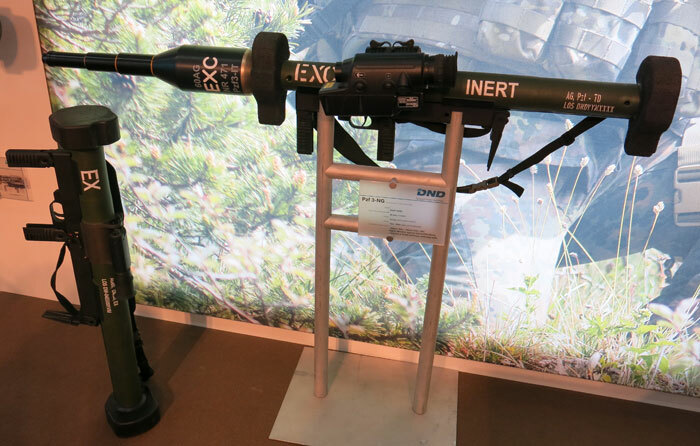 The German company DND displayed the new Panzerfaust 3-NG with its Daynahawk electro-optical sight, enabling the weapon an effective range of 600 meters. 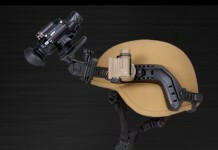 The weapon uses the standard RGW60 launcher with an oversized, tandem warhead designed to defeat all current armor types. 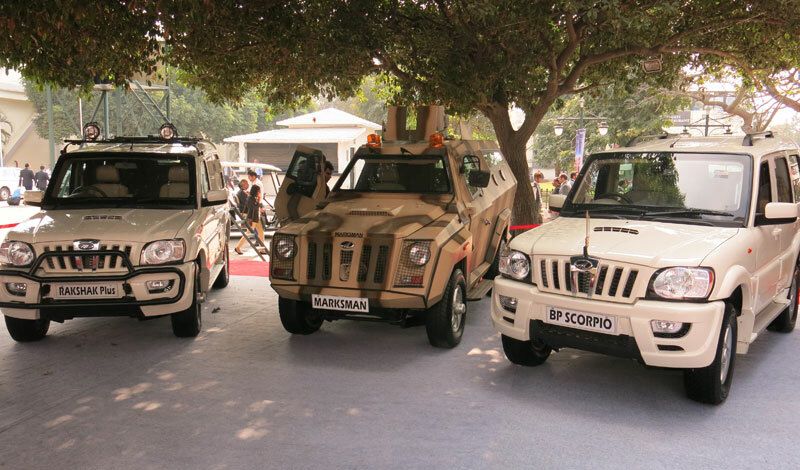 A group photo of Mahindra’s armored vehicles – from left to right: Rakshak Plus, Marksman and BP Scorpio. 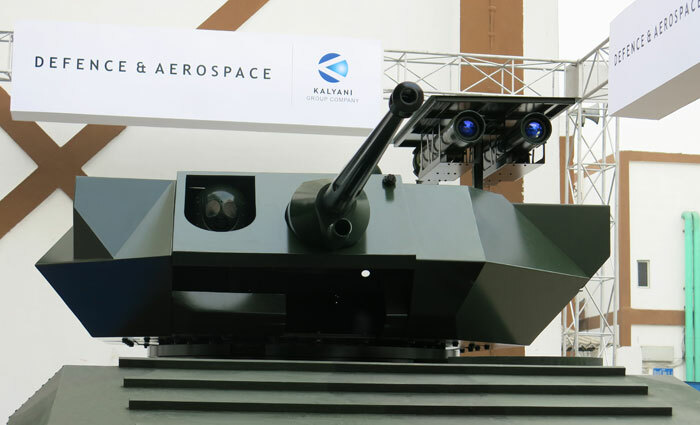 Tata Advanced Systems Ltd. (TASL) displayed the ‘Cruiser II’, a mini-drone originally developed by the Slovenian company ETAIR-UAV. 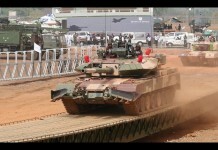 At Defexpo the Cruiser that weighs 50 kg Max. Takeoff carries the Cloudcap TASE400 gimballed EO payload. 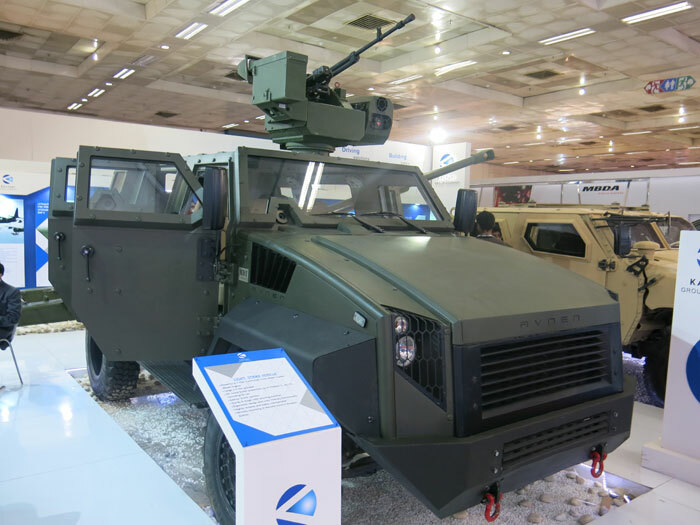 The company also displayed the smaller ‘Mini Cruiser’, designed for six kilogram MTOW. 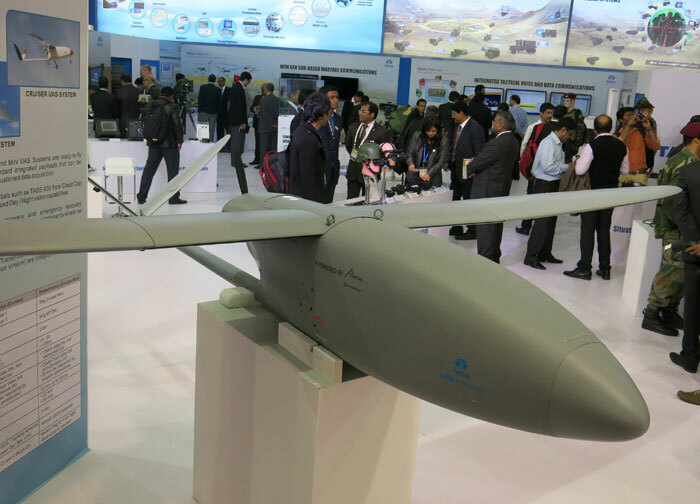 Last month TASL has emerged as the lowest bidder for a contract for mini-unmanned aerial vehicles (UAV) from the Indian Army’s Northern Command. A model of Brahmos M was displayed at Defexpo 14. 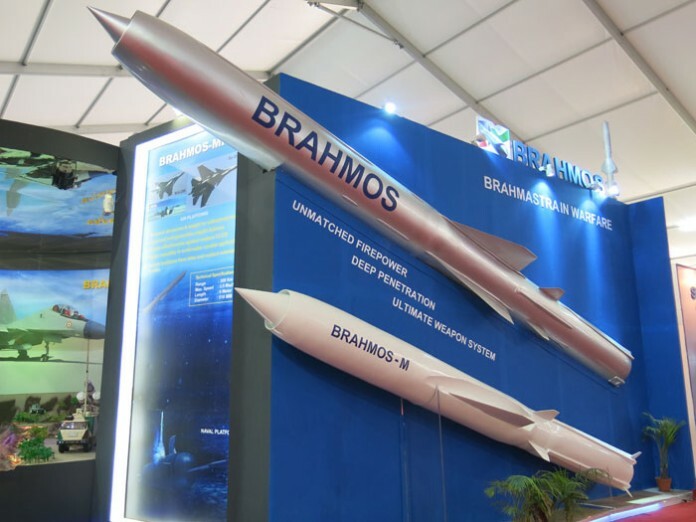 As the next generation of the current Brahmos, the missile will have reduced dimmensions, lower weight and higher speed, compared to the current BrahMos. 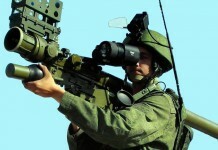 It will be three meter shorter, with a diameter 190mm smaller, compared to the Brahmos. 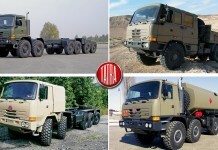 Its weight will be 1500kg, about 500 less than Brahmos. Optimized for airborne and tube-launched submarine applications, Brahmos M will have a range of 300 km (290 for Brahmos) and its speed will be increased to 3.5 Mach (2.8 max in Brahmos). The missile will have stealth features to reduce radar signature and will also have improved electronic counter-countermeasures. 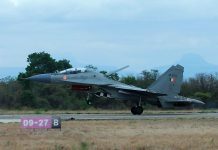 The new missile could be operational by 2017, on Indian Su-30MKI, MiG-29 and MiG-29K of the Indian Army and Naval Aviation arm. 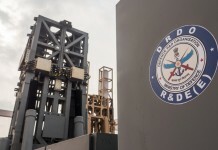 A deadly family of warheads developed by the Defense Research and Development Organization (DRDO) for the Prithvi missile. 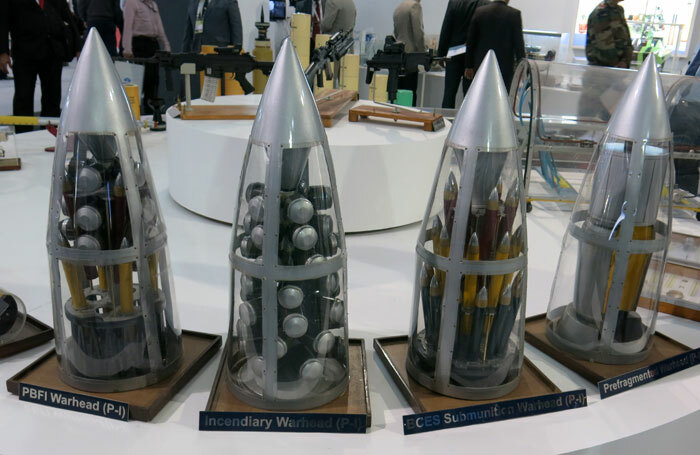 From left to right: a combined cluster of anti-armor and incendiary bomblets, a warhead loaded with incendiary cluster, a load of penetrating darts and prefragmented, unitary blast-fragmentation charge.